Carol, the Chief Claims Officer for a fast growing MGA (Managing General Agency) was finding it harder and harder to keep up with the relentless news cycle of weather events. There weren’t that many claims, but her anxiety levels rose every time she saw a news alert about a tornado outbreak or a new hurricane forming off the Atlantic coast. Carol found herself checking different websites two to three times a day, including weekends. As the thresholds were fine-tuned, the EigenAlert notifications became better predictors of reported claims. This also meant that when an alert was not sent, there would typically were no claim reports. Carol was now able to stop worrying about events in the news: she could trust the Alerts to tell her when to take action. Best of all, she found that she freed up more quality time with her family on weekends. Not a subscriber, but want to see how this works? 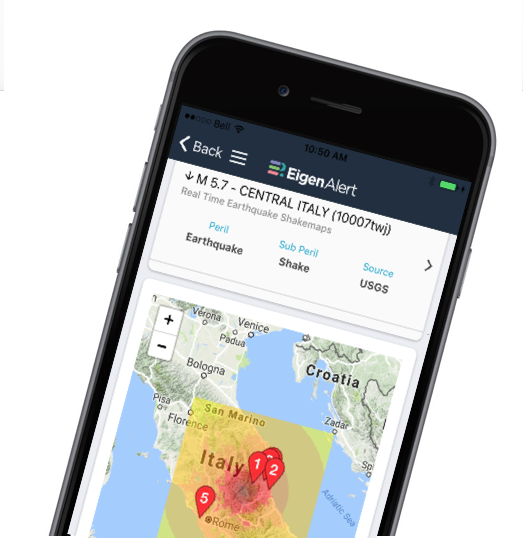 Contact us and we’ll set up a live demo to show you how EigenPrism helps you plan, monitor and respond to nat cat events.